Severe hyperoxaluria – always worrisome, never something to dismiss or even wait a long time thinking about. 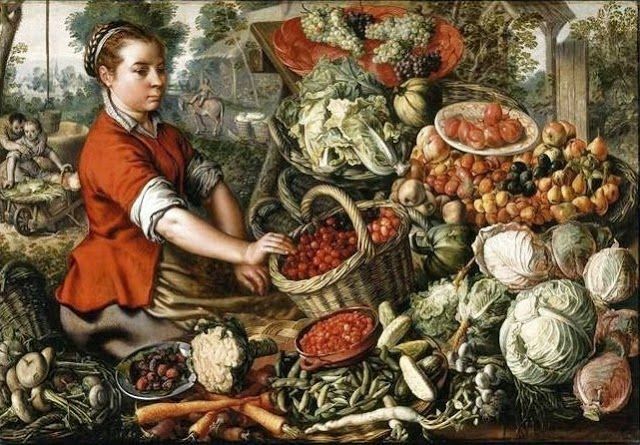 The Vegetable Seller’ by Flemish painter Joachim Beuckelaer (c.1534-1574) seems a perfect image for this exercise in vegetable excess. He was never very famous but influential concerning food and kitchen scenes. This 47 year old woman had her first manifest stone 12 years before I first met her. It was removed by SWL. The second stone was about 6 years ago treated with URS. Stones were 90% calcium oxalate monohydrate, 5% calcium oxalate dihydrate and 5% calcium phosphate. Three years ago, and then one year ago, more stones were reported in her kidneys. One year ago URS was performed on one side. Her physicians determined that new stones were forming over the years. Her father, mother, and one of four brothers have stones, but none of her 2 sisters. Her three children 20, 19, and 16 have had no stones. Long before, at age 20 she had an episode remembered as stone passage but without any specific documentation. A full GI evaluation for Crohn’s or Celiac disease a month before we met was normal. Fatty liver and multiple stones were documented from that evaluation. In addition she had hypothyroidism of unknown cause treated with hormone replacement, and takes progesterone for perimenopausal symptoms. She has been anemic for reasons presumed to be dietary. Going back to age 18 through 31 she was vegetarian but ate considerable soy products and nuts. She also remembers constant snacking on dried apricots and almonds specifically during the 15 years between her first presumed stone and her first documented stone. She used dairy products but not very much. Note her stones became manifest at age 35 but there is history suggesting an earlier stone at around age 20. From 31 through 38 she incorporated small amounts of chicken and fish but with the same low dairy product use and her continued high vegetable and nut intake. The chicken and fish were used once to twice a week. 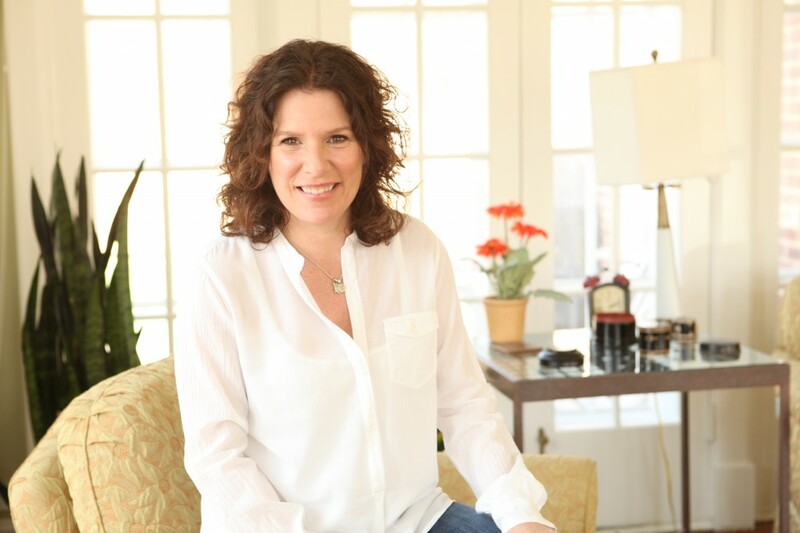 In 2008, at age 38, in response to her diagnosis of hypothyroidism she was evaluated for food intolerance which led her to avoid casein, meat, and dairy products, so that her low intake of calcium worsened. She resumed her vegan diet that now also excluded gluten and soy. These more stringent changes occurred three years after her first stone. One year ago she added to these restrictions a very low sugar intake leaving only fruits, veggies, eggs, nuts and nut butters – the latter became extreme. She lost 15 pounds on this regimen – from 140 to 125. She then gained 17 pounds back just before the fatty liver diagnosis. Of note, the high fruit and vegetable diet produced the expected loose stools. Her urine volume was reasonable, calcium frankly low, and oxalate excretion in the range of enteric and primary hyperoxaluria. As expected from her diet, urine pH was high. Urine sodium was modestly higher than I prefer, potassium, magnesium, and phosphate unremarkable. LIkewise for urine NH4 and sulfate, and protein catabolic rate of 1 gm protein per kg per day. Because of the oxalate excretion, calcium oxalate SS was above 9 fold. From this I would have expected calcium oxalate stones, perhaps the monohydrate. Indeed that was her stone type as noted above. Even though my first concern was primary hyperoxaluria, her diet was so remarkable I considered a single attempt at diet treatment reasonable before referring her to a primary hyperoxaluria research center. Accordingly, after studying her actual food intakes I recommended major changes. I counseled her on how to eat at least 1,000 mg of calcium with her meals. Obviously, I went through all of the highest oxalate foods and asked they be stopped. Because of the higher calcium intake and her stone disease being both familial and antedating her most remarkable diet changes, I also advised toward a lower sodium intake of 1500 mg. Likewise I asked she reduce her refined sugar intake to below 25 gm/day. Of course, from her diet history, I suspected mere dietary hyperoxaluria, but also worried that being so severe I might be wrong. In fact, her urine oxalate fell to 29. Probably because of higher calcium intake her urine calcium about doubled. SS for CaOx fell to below 2 meaning little or no serious stone risk. The fall in urine pH was expected – we went from almost exclusively vegetable foods with their predictable high potassium alkali content to more milk and other products that would provide less GI anion uptake. The fall in urine citrate, however, seems a bit marked and makes one wonder if she tends to a low citrate but because she ate so much vegetation that trait could not become manifest. She did not lower sodium intake very much but given her urine calcium I am not concerned. Perhaps as I expected her urine NH4 increased but sulfate was not changed. A crude calculation of GI anion uptake from just the sum of Na + K – Cl was not changed – 57 at the beginning and 53 mEq after treatment. Since sulfate went up by 5 mEq and net anion fell by 4 mEq I would have expected NH4 to go up by only 9 mmol not 23 mmol. Possibly a more refined calculation using Mg, Phosphate and calcium would give more reasonable estimates. As well, urine pH fell, so urine ammonia for any ammonia production rate would increase. Leaving aside the arcana of urine ammonia and acid base balance for a moment, the main point is how high diet can drive urine oxalate and with what remarkable force one can lower it by diet change as happened here. The clinical implications are few but significant. When faced with a very high urine oxalate level, no time should be wasted. A complete diet history may direct one toward an attempt at diet treatment. If so that attempt should be vigorous and focused – high calcium, low oxalate all at once. If the urine oxalate falls, as it did here, chronic diet planning is a leisurely matter. If it does not, levels this high pose too much risk for protracted diet efforts. Other causes need be sought and reversed. Diet history is a powerful clinical instrument. Here it not only disclosed the reason for the urine abnormality but provided a decent time correlation between diet changes and first stone manifestation – a likely high oxalate diet preceded the stone manifestations by some years. Given her many affected relatives, her diet could not be the only reason for stones – they are not likely to have done what she did. But her urine citrate is a clue – perhaps that trait of low urine citrate runs in her family. Hello. Thank you for sharing all of the great information. A couple of things are confusing me though. 1. Since elevated Ca is known to cause deposits in all soft tissues dramatically increasing CVD mortality, Ca is a component of CaOx stones, and since magnesium is 70% as effective as Ca at binding with and lowering urine oxalate, and that most adults are chronically deficient in Mg why wouldn’t Mg be recommended to chelate dietary oxalate in the intestine instead of dangerously increasing Ca levels? 2. Along these same lines, what is the advantage of using potassium to deliver citrate vs magnesium? 3. Organic lemon juice contains almost no sugar and is very high in citrate. Wouldn’t this be a good choice for alkalinizing the urine and delivering even more citrate? Thank you for your help. I’m really trying to piece this all together–well, as much as possible. Diet restrictions did little; nor additional calcium; no symptoms of other disorders and now seen 2-3 metabolic experts, as well as regular urologist. No sign of genetic Primary Hyperaxaluria. All other urine/serum values normal, including Calcium and Citrate; uric acid controlled by Allopurinol.